We know it does not look like Maine. Bad News….We are on Vacation! Good News…. 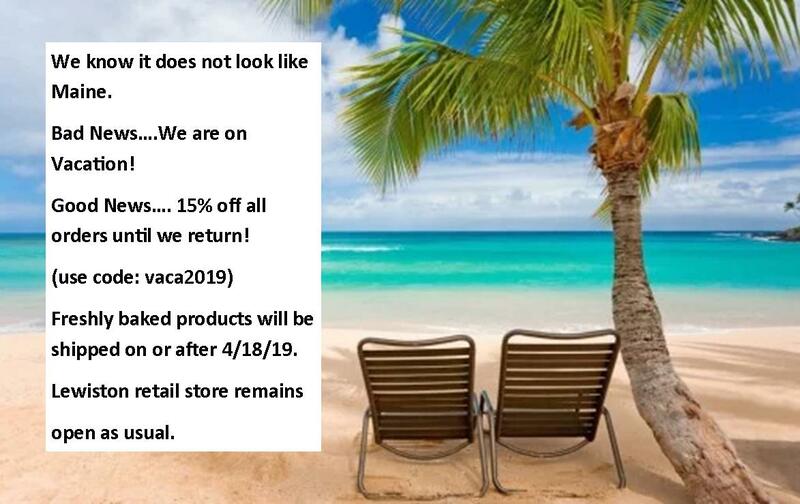 15% off all orders until we return! Freshly baked products will be shipped on or after 4/18/19. Lewiston retail store remains open as usual.